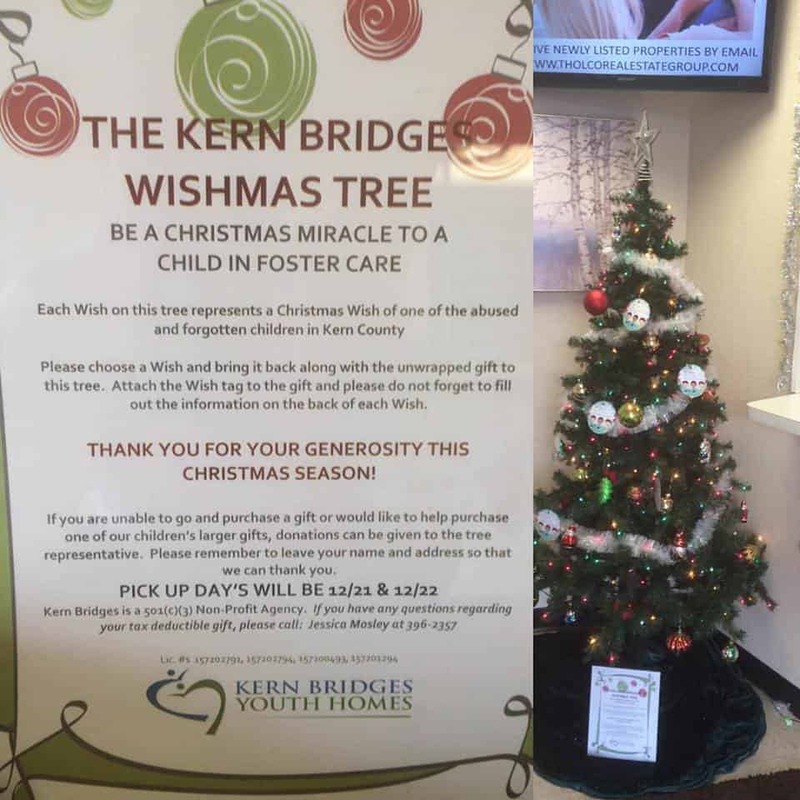 Come By Tholco Real Estate Group in Bakersfield and grab a Kern Bridges wish ornament! It’s simple to help a child out this year. Please choose a wish ornament from the tree at our office and bring it back to our office along with the unwrapped gift. Attach the wish ornament tag to the gift and please do not forget to fill out the information on the back of each ornament wish. Each Wish on the tree at our office represents a Christmas Wish of one of the abused and forgotten children in Kern County! KERN BRIDGES AND THOLCO REAL ESTATE GROUP THANK YOU FOR YOUR GENEROSITY THIS CHRISTMAS SEASON! If you are unable to go and purchase a gift or would like to help purchase one of our children’s larger gifts, donations can be given to the tree representative. Please remember to leave your name and address so that we can thank you. To learn more about Kern Bridges and how you can get involved, click here.